A dark, spiced red rum with the kick of a beast from the underworld, this unique-tasting drink is a blend of rum made from the famous wooden pot still at the Diamond Distillery in Guyana, where it is part aged in bourbon casks and caramelised, and then blended with a lighter column still rum from Trinidad. This guilty libation is imported into the UK and then devilishly infused with a mysterious concoction of natural spices, including cloves, star anise and cassia bark. Try this 5cl sample size neat, on the rocks, or with a ginger based mixer. 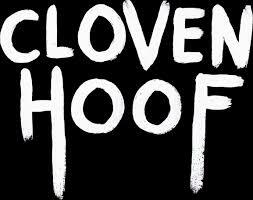 Created for all you sinners, Cloven Hoof is ready to heat your soul. Join the dark side and RAISE THE HOOF.